CNC pipe benders form the curve structures from digital models. 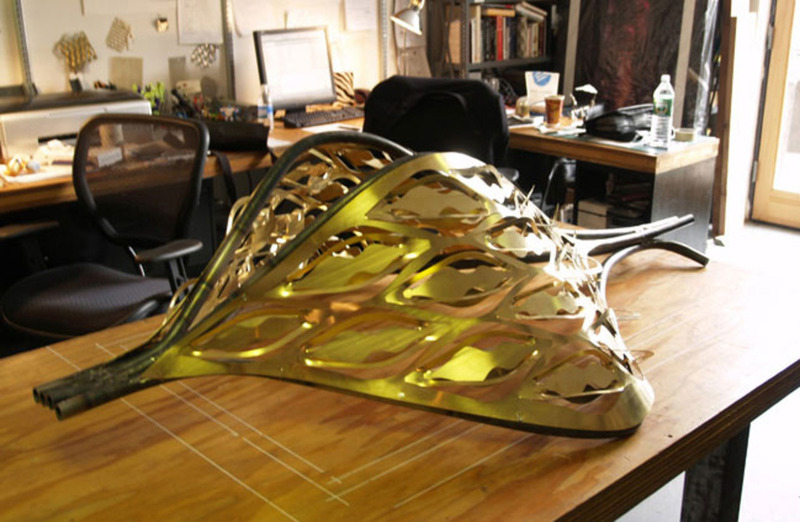 The laser cut brass panels open as they deform to the 3D space. Freelance design and prototyping work with Cage Clemenceau Architects for their 2007 entry to MoMA’s PS1 Young Architects Competition.